News : Theatre Port Houston - Theatre Auditions News and more! at Main Street Theater – Rice Village, 2540 Times Blvd. It is the fall of 1964. With a presidential election looming, a group of advertisers working for Lyndon B. Johnson unleash the most infamous political commercial ever conceived: the “Daisy” ad. This ad played only once, but it carved a scar deep into the American psyche. 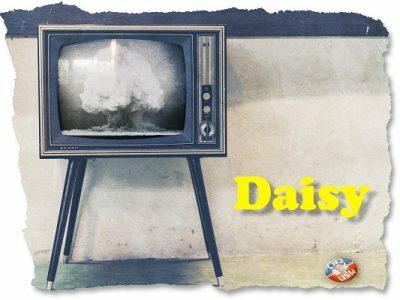 ... Daisy explores the power of manipulation and the moment in television history that launched the age of negative ad campaigns — and forever changed how we elect our leaders. Written by Canadian playwright Sean Devine, Daisy premiered in Seattle at ACT Theatre. His newest play, When There’s Nothing Left to Burn, will premiere at the University of Lethbridge in the fall of 2017. He is currently working on a new play called The Authoritarians for the Resident Ensemble Players in Delaware. Children under the age of 5 are not allowed in the theater. *There is no performance Sunday, April 1 (Easter Sunday). *Added performance: Wednesday, April 25 at 7:30pm. Please note: no outside food/snacks are allowed at the theater. You may purchase concessions at the show.